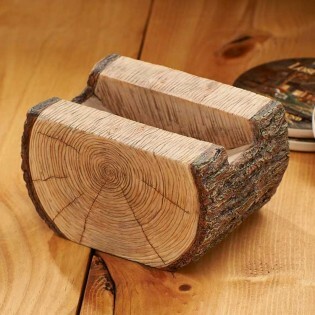 Add a woodsy touch to your rustic home decor with this nature-inspired Log Coaster Holder. Attractive, functional decorative accent for home or cabin, it makes a delightful gift, too! Cold cast resin and hand-painted.